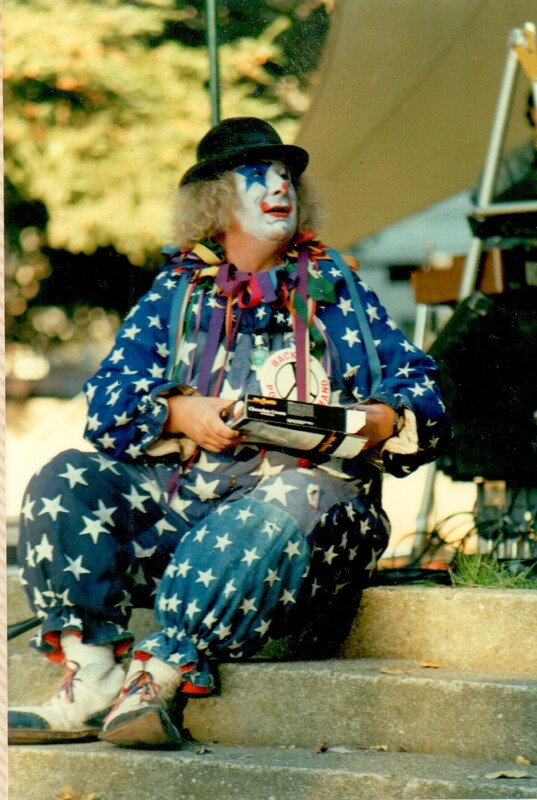 Wavy Gravy, shown here in his all-star clown suit, is to Berkeley as soup is to sandwich – try to separate them, it’s an illusion. You can’t have one without the other. 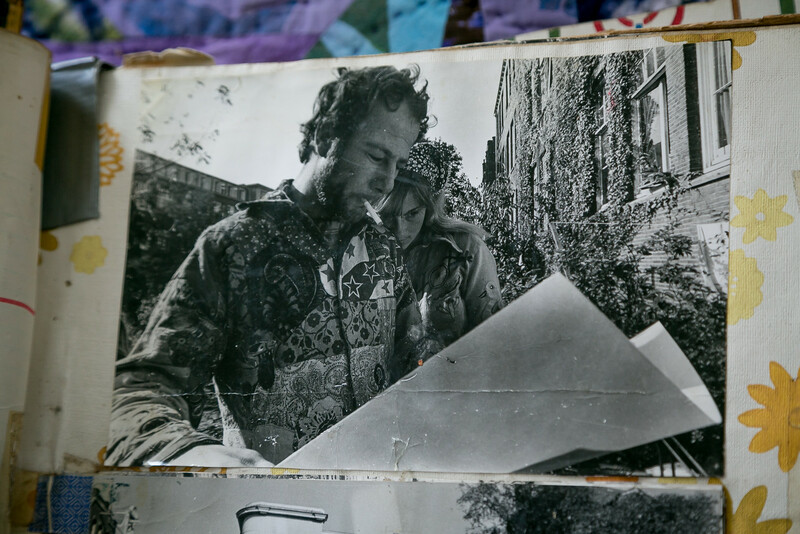 He has been a defining element of Berkeley for 40+ years. Wavy turns 82 this year. Not bad for a guy who didn’t think he’d see 40. He has an event schedule that says not-slowing-down. This is not a shameless plug for his upcoming birthday celebration. 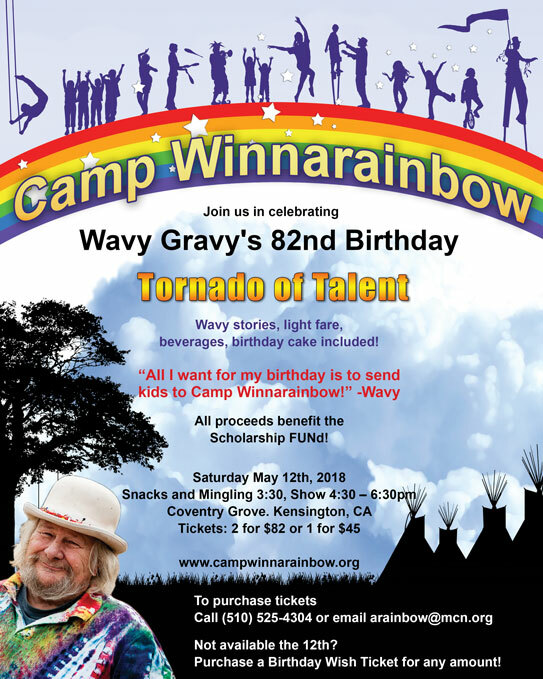 It is a PROUD plug for his birthday celebration – proceeds go to the Camp Winnarainbow scholarship fund. Most of us know at least two things about Wavy. 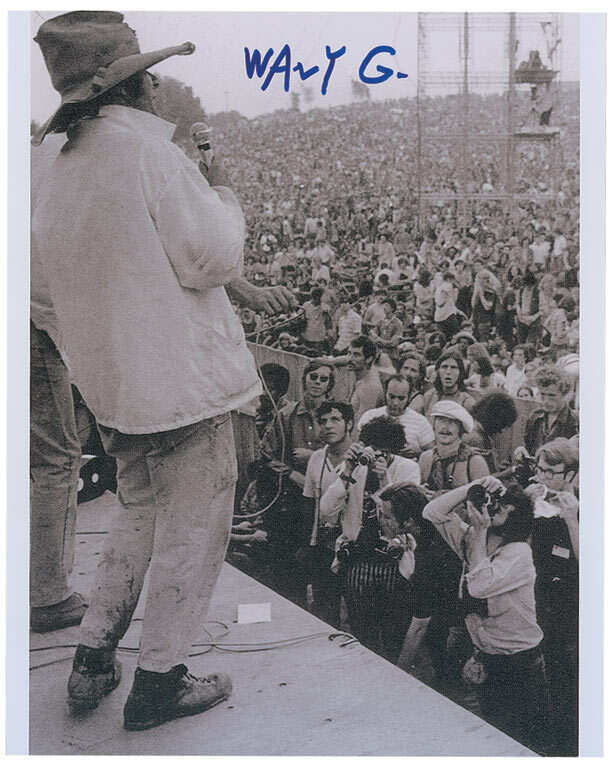 He was a master of ceremonies at Woodstock. 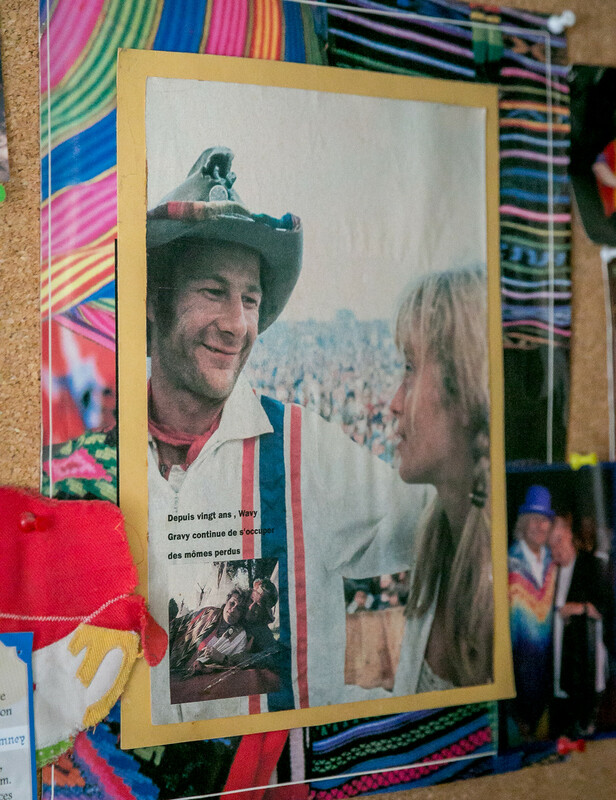 We all remember that moment when we first heard of Wavy Gravy – Woodstock. Which is wrong. He was still Hugh Romney. 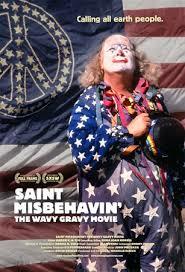 Several months later at the Texas International Pop Festival he was born again as Wavy Gravy, so anointed by B. B. King. First, presented here, is the road from standup comedian Hugh Romney to Hog Farm Clown Wavy Gravy moving to Berkeley in 1975. Second will be some of the high points of Wavy’s years in Berkeley. Third will be the house in Berkeley where Wavy has lots of his stuff. For those interested in a fuller treatment of his life, here are a few places to go. 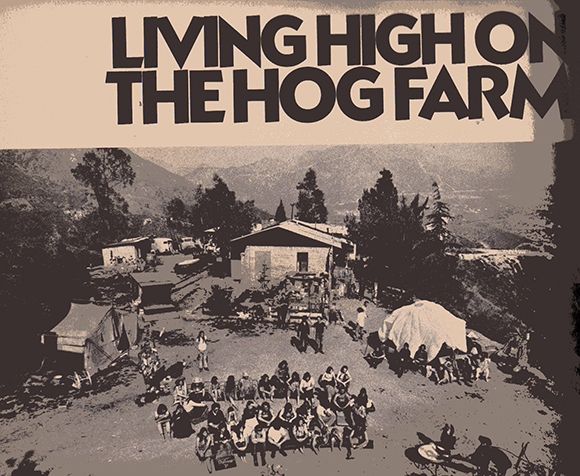 For a look at life on the Hog Farm when it was really a hog farm in the San Fernando Valley, see Peter Schjeldahl’s “Living “High on the Hog Farm, ” Avante Garde 5 (1968), pages 44-51. 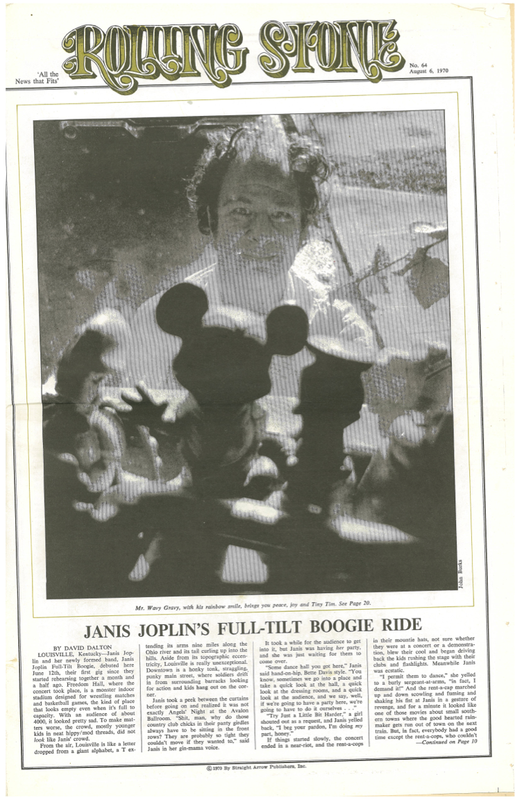 Wavy and Janis Joplin trade off on the cover of the August 6, 1970 issue of Rolling Stone. 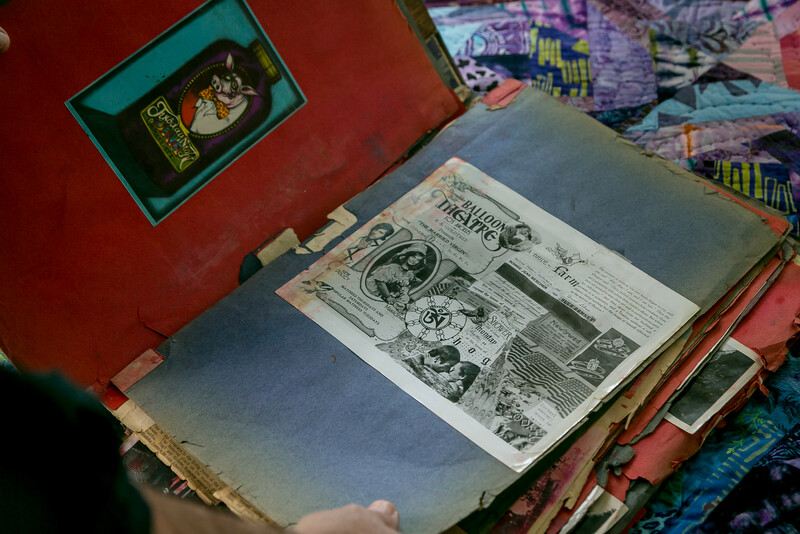 Inside there is a six-page article about Wavy by John Burks. 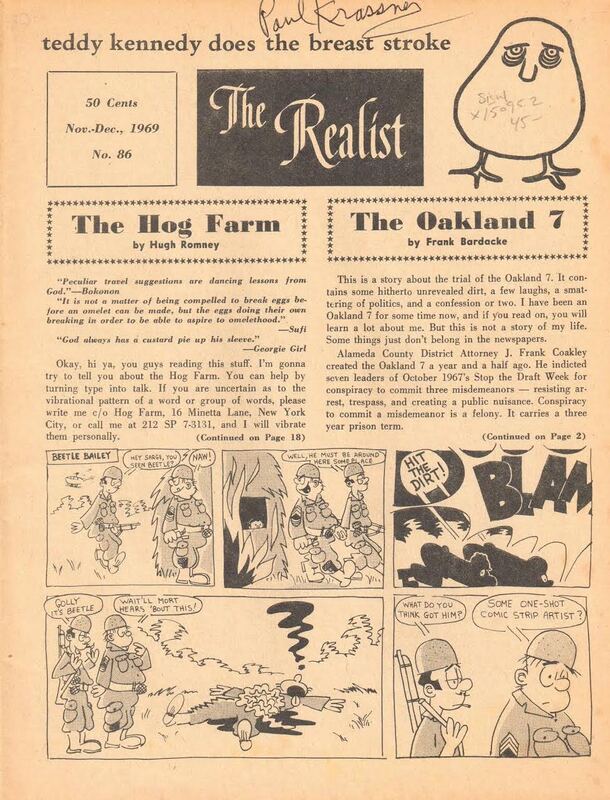 Wavy’s own account of the early years is found in his 1974 The Hog Farm and Friends. 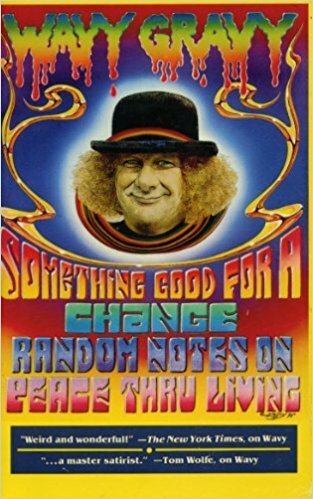 Wavy’s 1993 Something Good for a Change contains biographical essays. The 2009 documentary Saint Misbehavin’ is a good source. Here is the trailer. Having compiled your reading list, let’s take a cruise. 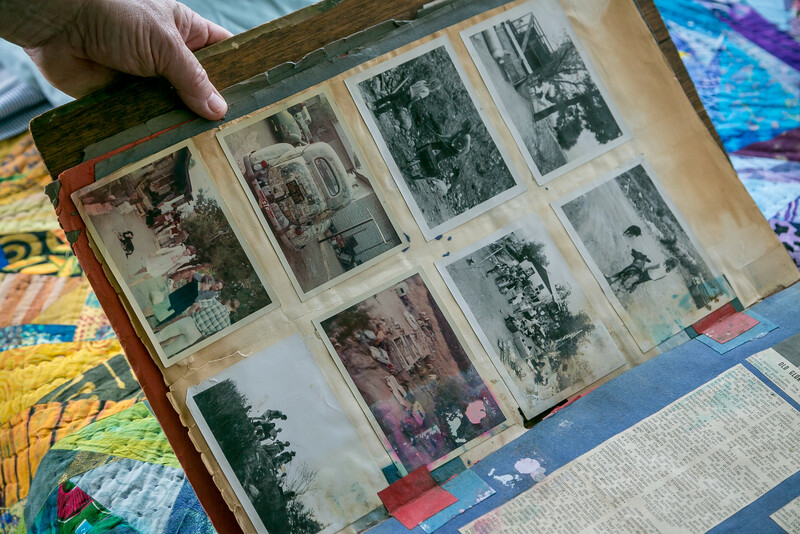 Remember, this is an impressionist exercise, not a meticulous, exhaustive biography. 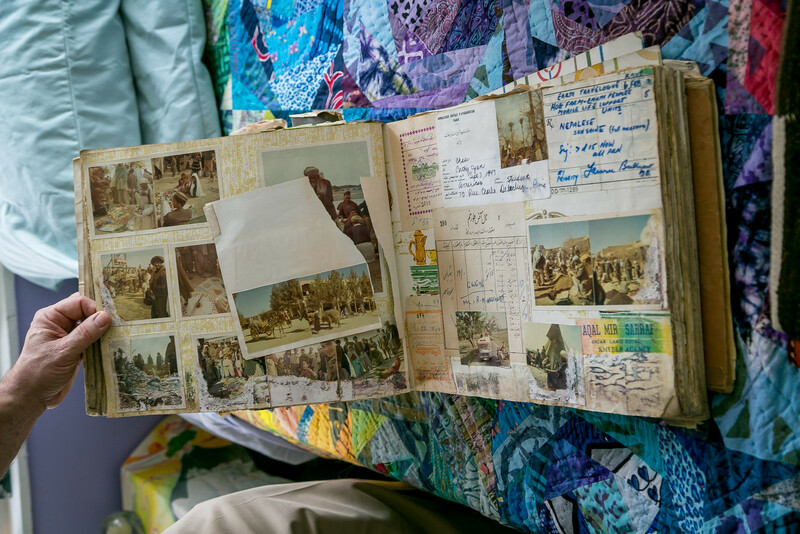 Hugh Romney matriculated at Boston University Theatre Department in 1957 thanks to the Korean G.I. 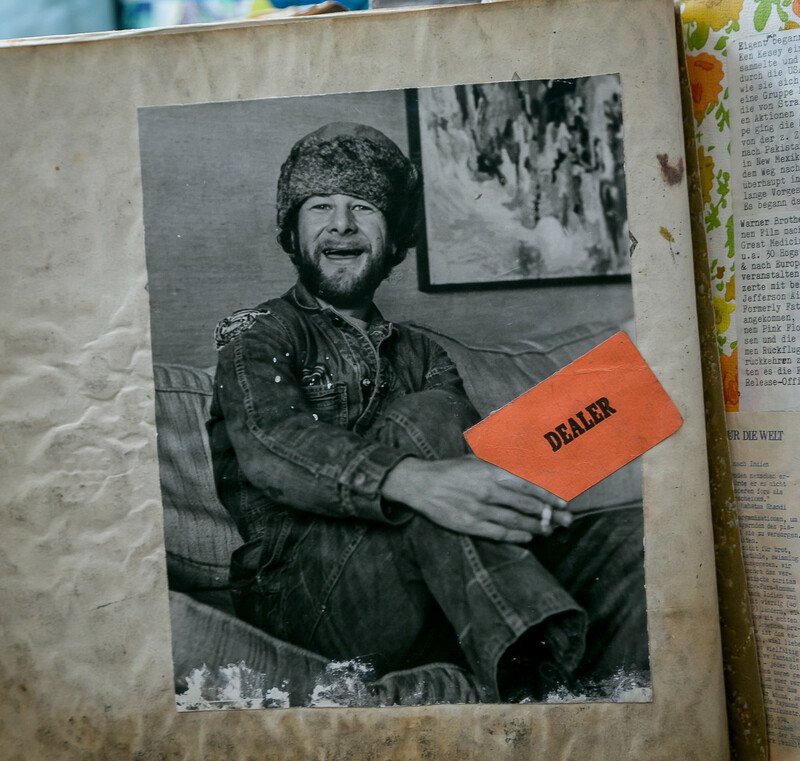 Bill, and then unmatriculated less than two years later and enrolled in the Neighborhood Playhouse School of the Theater in New York City. It is a drama school that was formed in 1928. 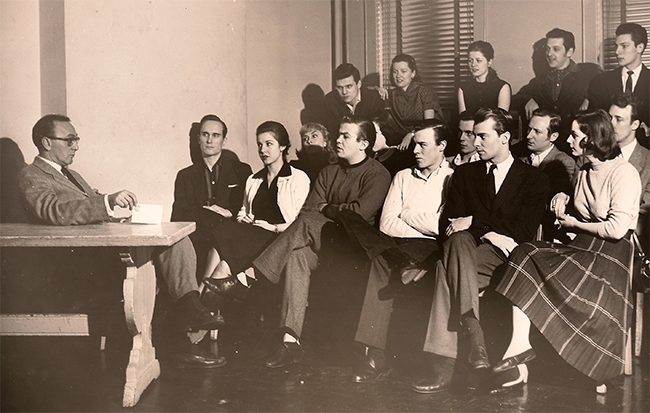 Sanford Meisner, shown in the photo above, developed a technique that is the basis for the school’s pedagogy (a word that I have never used before). It was an alternative to Lee Strasberg’s Method acting. There is a greater focus on the other actor than to internal thoughts or feelings attributed to the character. 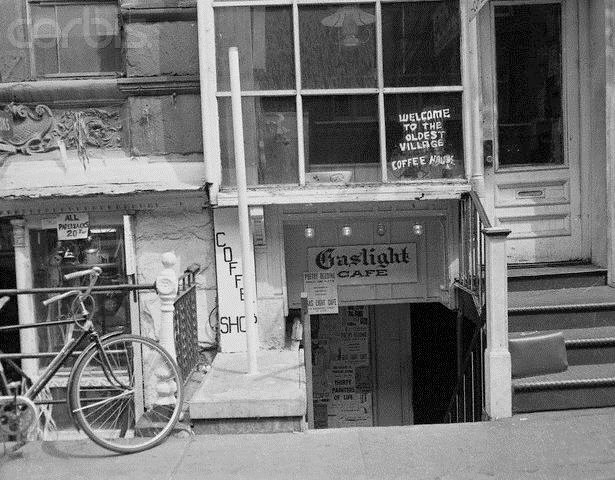 While studying theater he worked with very hip, very funny John Brent as Poetry and Entertainment Director at the Gaslight Café in Greenwich Village. 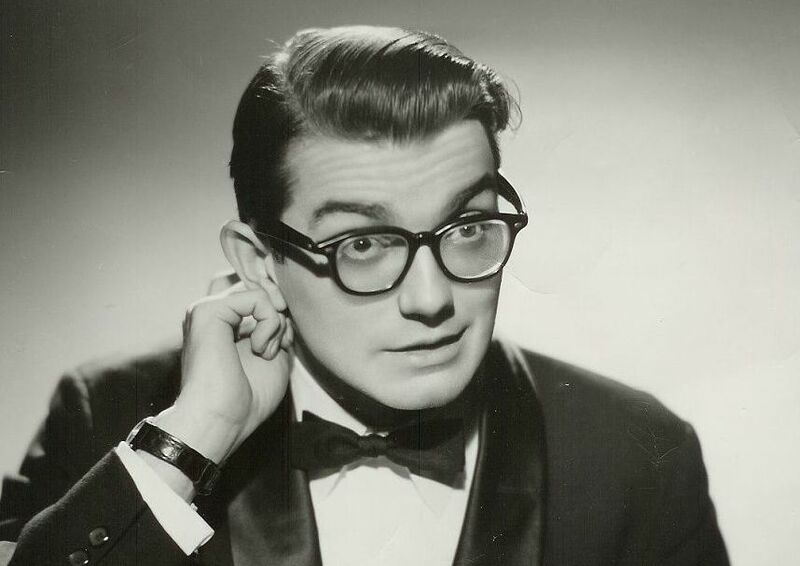 Del Close, another bright comedian, became friends with both Brent and Wavy. 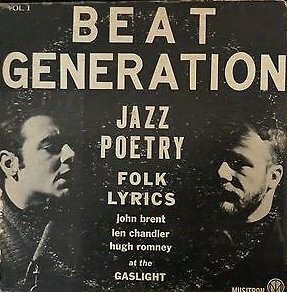 Romney appeared with several other poets in 1961 in “Beat Generation Jazz Poetry” recorded at the Gaslight. 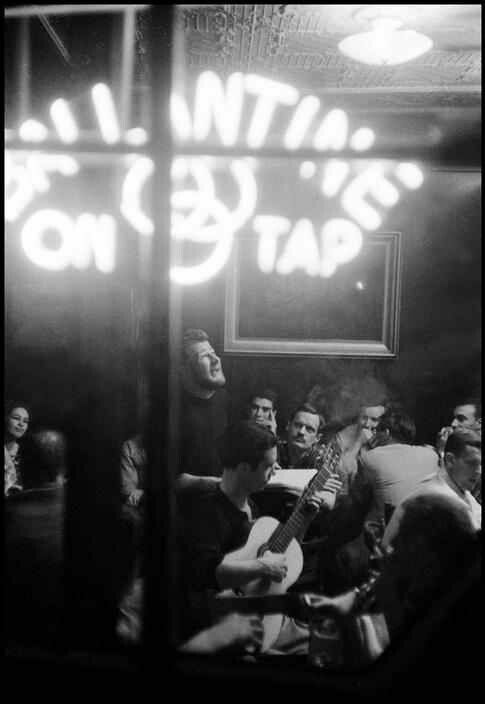 In 1962, Romney appeared as the opening act for Thelonious Monk at the Club Renaissance in New York. 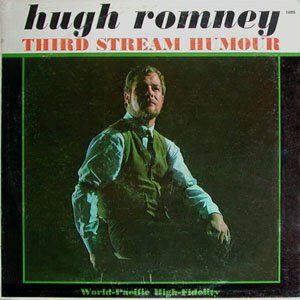 His performance was recorded and issued as the album “Hugh Romney, Third Stream Humor” by World Pacific Records. 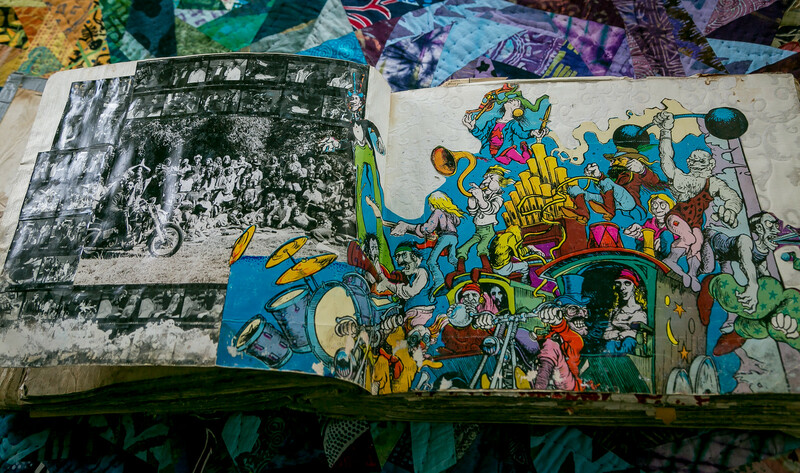 His performance ranges from the surreal and hip, with allusions to marijuana and psychoactive mushrooms, to poetical and Zen bizarre. 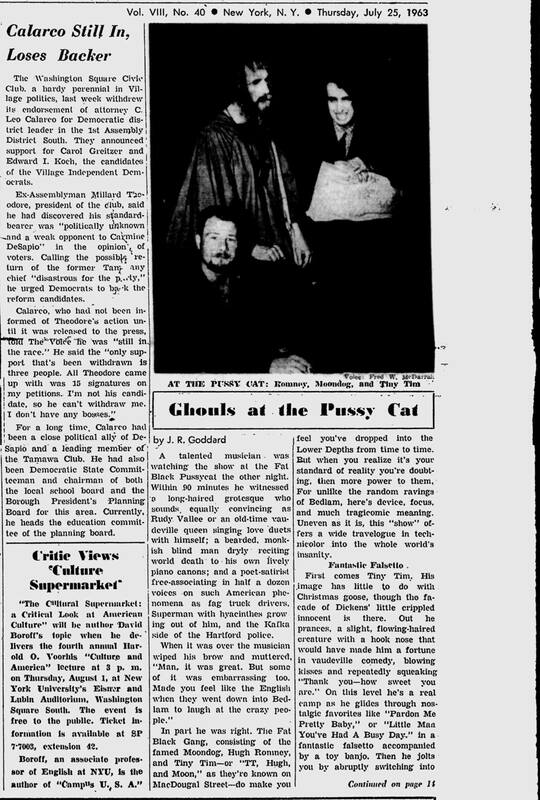 In 1963, Romney teamed up with Moondog and Tiny Tim as The Phantom Cabaret. 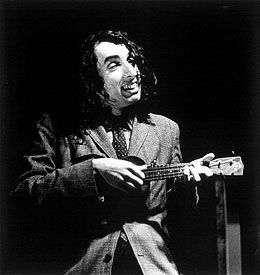 Tiny Tim you probably remember. He played the ukulele and sang songs of the early 20th entry in a high falsetto/vibrato voice. 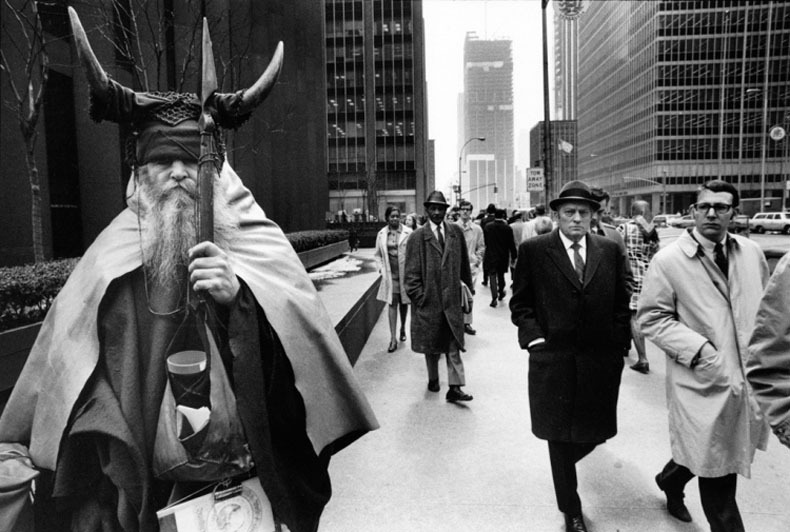 Moondog was a blind street musician in New York whose musical style defies categorization or even description. Very far out. Moondog made his clothing which featured a strong Viking motif. There are several killer photos of the three of them, all licensed by Getty Images. What a trio! Moondog quit the group because he felt that Tiny Tim was a sissy. Miss Snooky, a lesbian in a decade that didn’t favor lesbians, replaced Moondog. 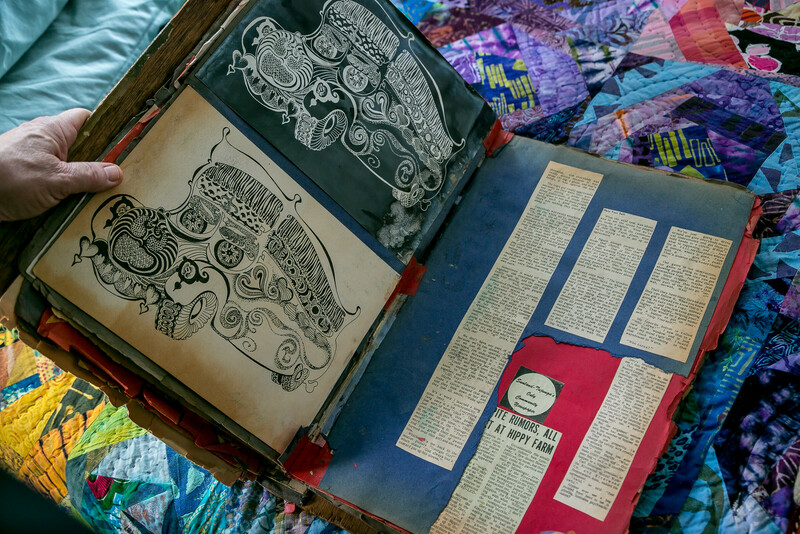 They made one record – literally – on 42nd Street. You go into a booth and record and get your one copy. The record went to Lenny Bruce, who played it into worn-out oblivion. Tell me, O Muse, of the man of many devices, who wandered full many ways after he had sacked the sacred citadel of Troy. Many were the men whose cities he saw and whose mind he learned, aye, and many the woes he suffered in his heart upon the sea, seeking to win his own life and the return of his comrades. Yet even so he saved not his comrades, though he desired it sore, for through their own blind folly they perished—fools, who devoured the kine of Helios Hyperion; but he took from them the day of their returning. 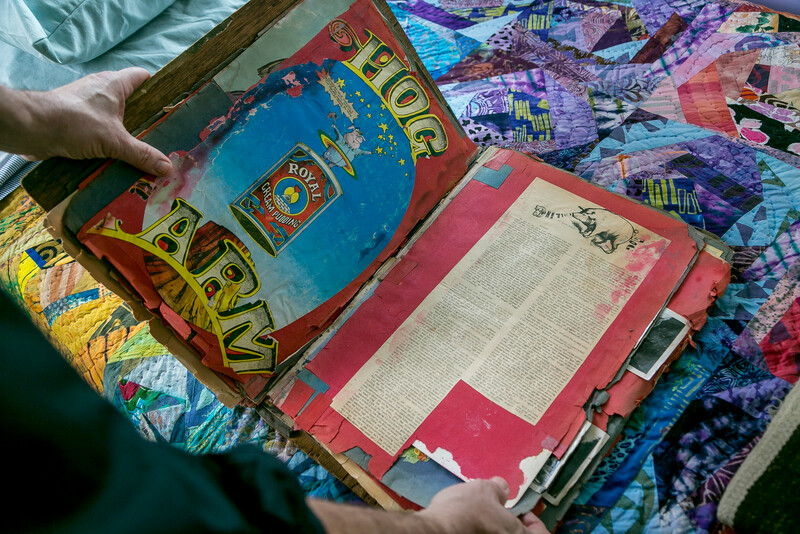 They started at a – literal – pig farm in the San Fernando Valley where they – literally – slopped and otherwise cared for pigs/hogs. Most of the hog farmers had day jobs in LA. 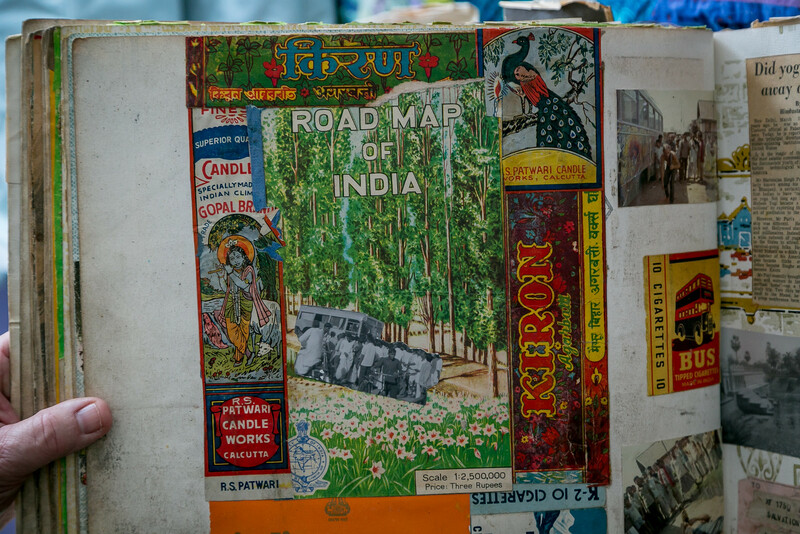 After that – there was time in Vermont, New York, Stockholm, through the Indian subcontinent, New Mexico – and oh so many more places. 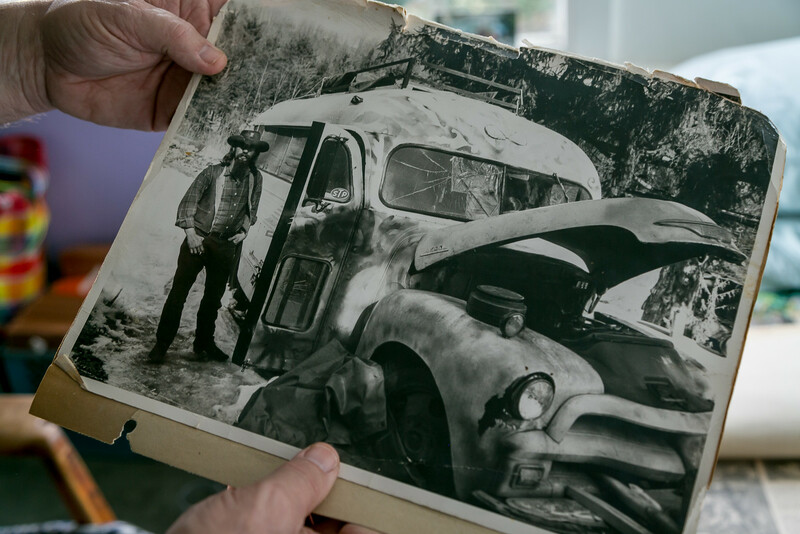 To give a sense of the seven years on the buses, I borrow from Wavy’s scrapbooks. 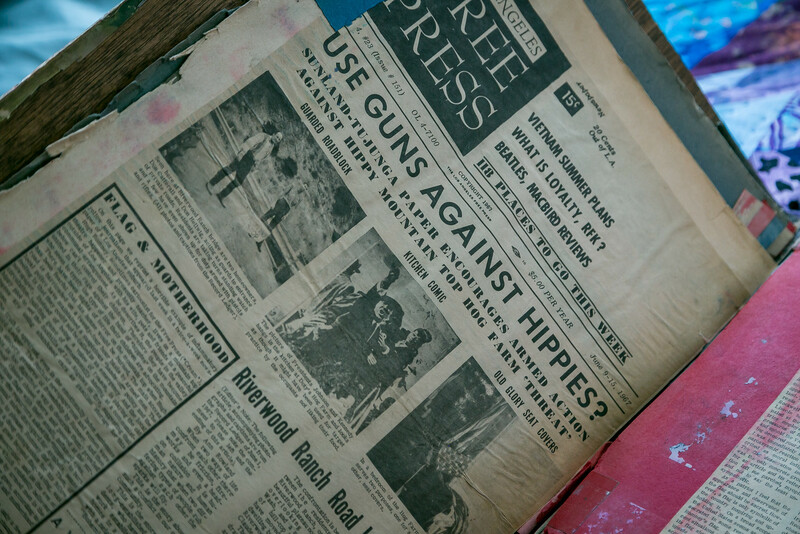 There used to be four scrapbooks, but the Woodstock scrapbook was stolen. WHAT INCREDIBLE BAD KARMA THAT IS! The dome at the Hog Farm in Sunland. Facing the camera in the middle of the photo is Evan Engber, a bio-engineer who is still with the Hog Farm. An invitation to the wedding reception of Wavy and Jah (Mrs. Wavy). Various photos from Sunland. Next to the top on the right is a photo of the theater that the Hog Farm built for Tiny Tim. Neighbors at Sunland worried that the Hog Farm had cars filled with gas around Los Angeles and that they plotted to burn the city, hence the threats. To quell the rumors, Wavy went on the Jack Paar show. 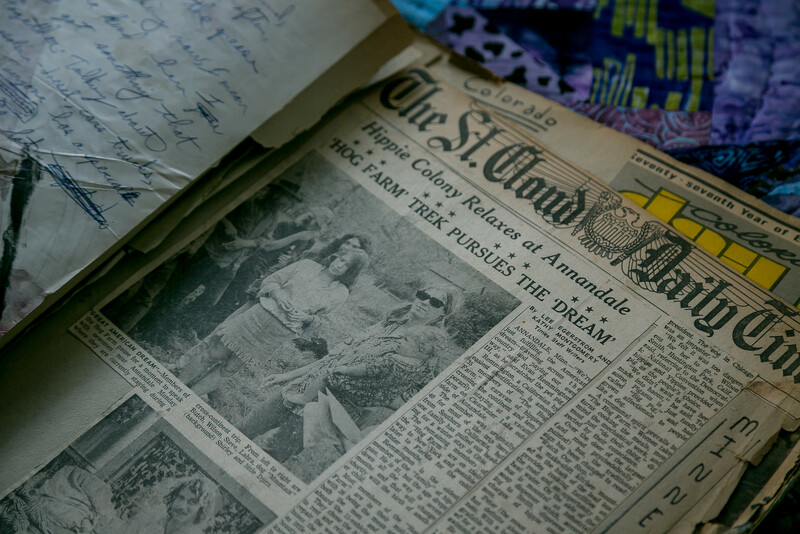 The Hog Farm used an emissary and peace was made with the locals. 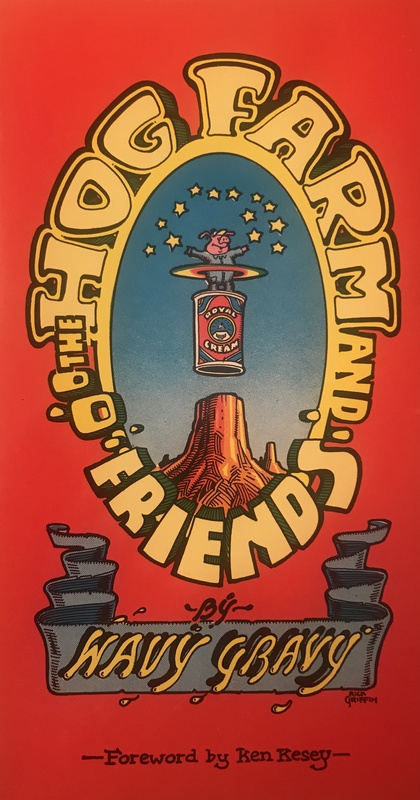 A Hog Farm poster by Rick Griffin, one of the leading designers of psychedelic posters in the 1960s. 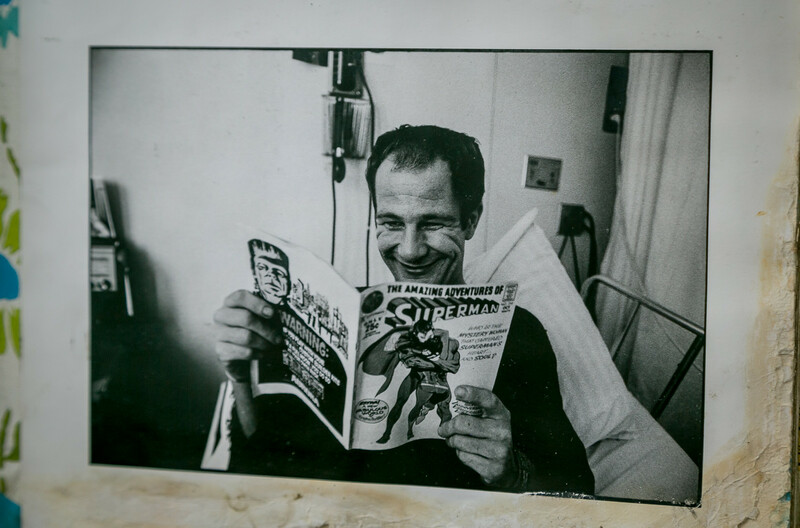 His work appeared regularly in Zap Comix. 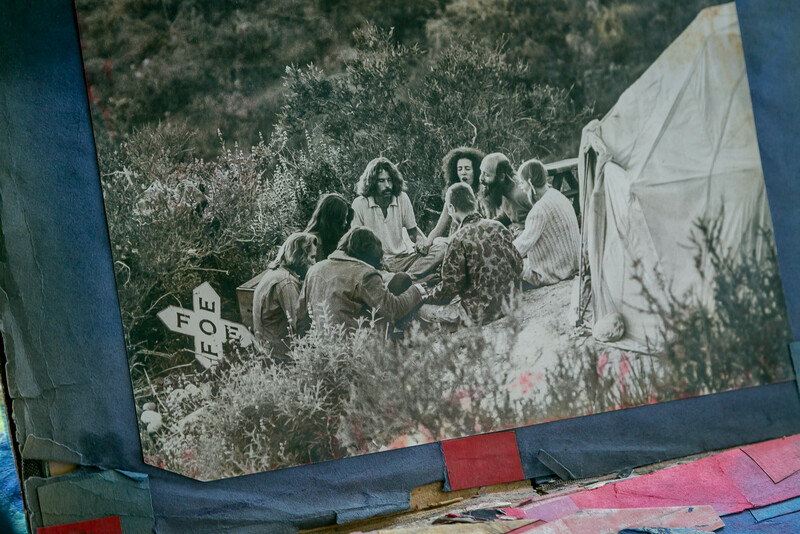 Griffin was closely identified with the Grateful Dead. On the right, another Wavy “Hog Calling” column. 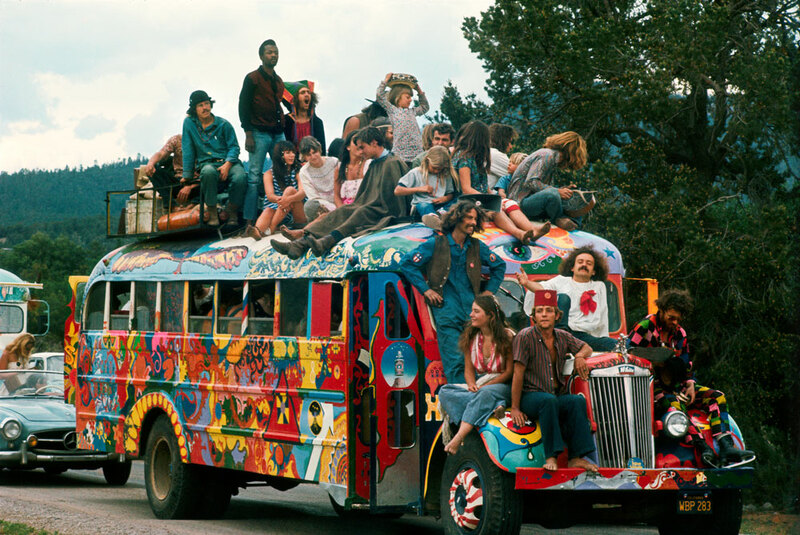 The Hog Farm’s fantasy bus as sketched for the Los Angeles Express. 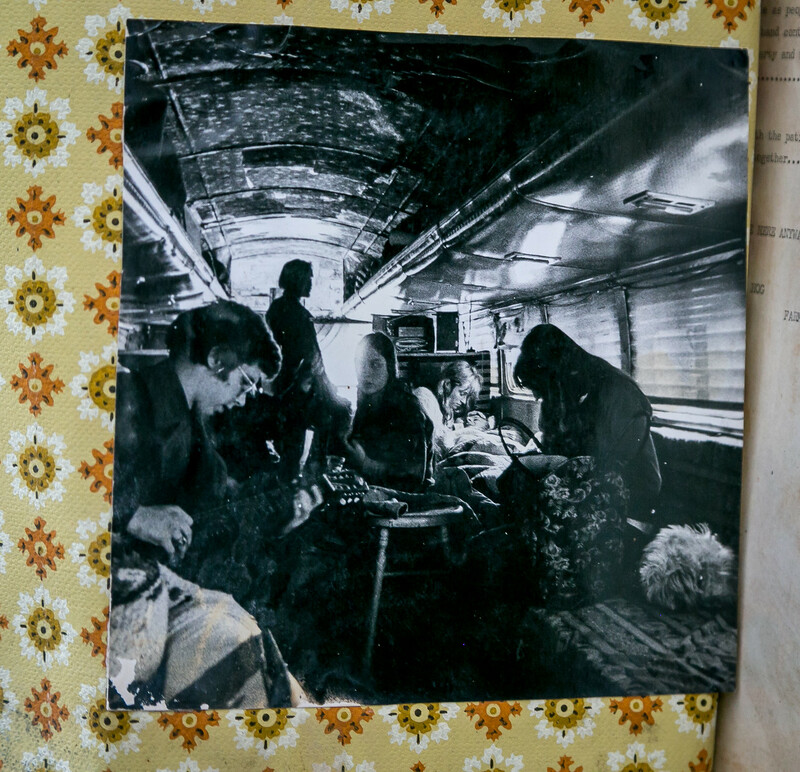 From the article in Avant Garde on the Hog Farm. 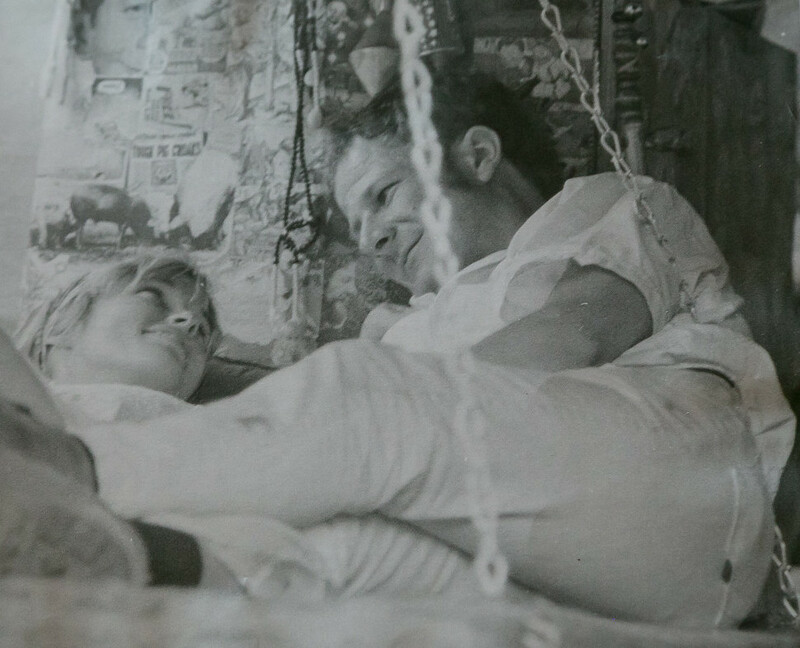 On the right, Wavy on the roof of Calico’s loft in the lower east side on Spring Street. 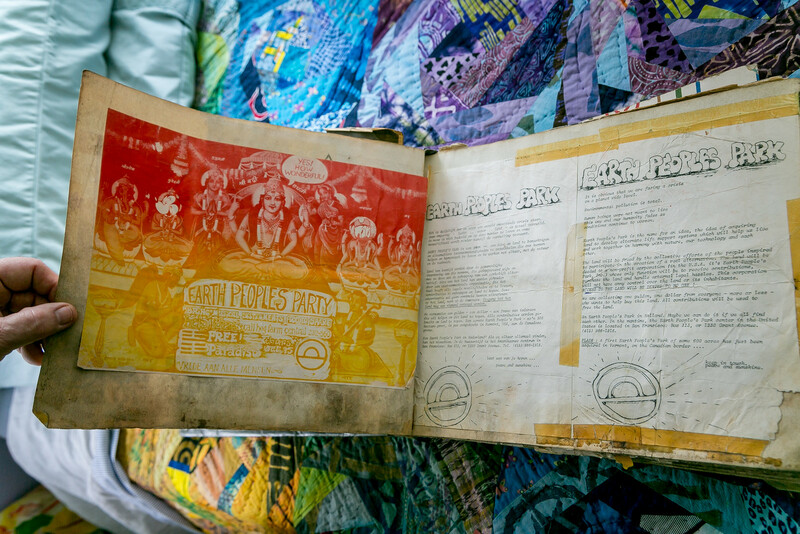 The parents of Mrs. Gravy/Jah lived in Minneapolis. 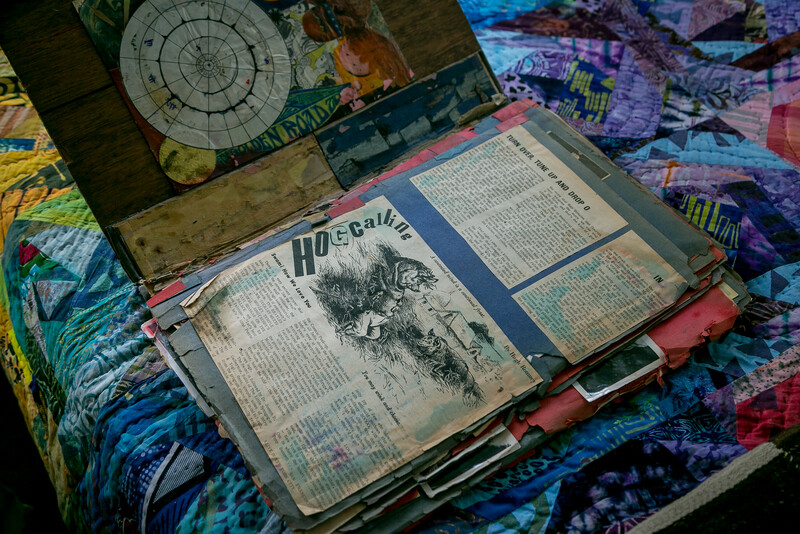 The Hog Farm was on a cross-country journey and stopped for a visit. Butch drove the Greyhound bus, which is not the bus pictured here. Turkey! 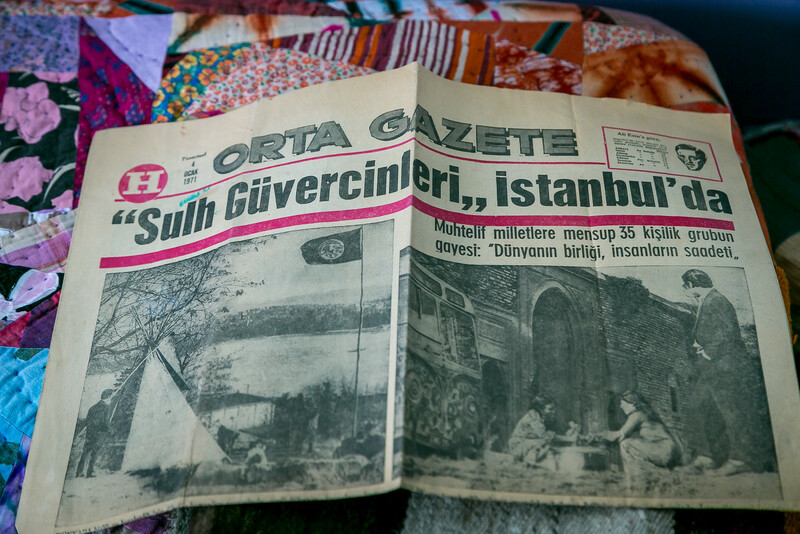 The daughter of the mayor of Istanbul jumped on the Hog Farm bus when they entered Istanbul and secured for them the right to park near the Tokaki palace overlooking the Bosphorus. 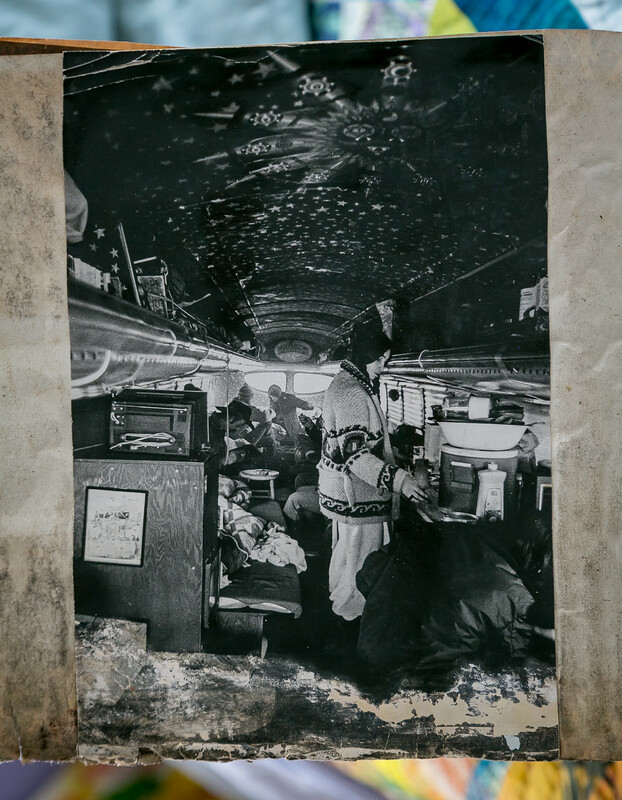 The interior of the 1948 Greyhound known as ASP from its license plate. 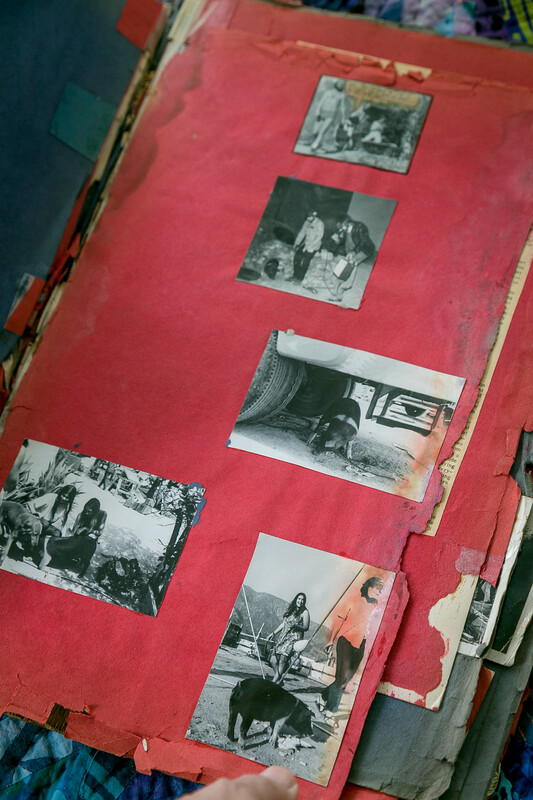 The name grew to Impossible ASP, the boat in Mount Analogue by Rene Daumal, who died three-quarters of the way through writing the book in the middle of a sentence. The receipt for one of Wavy’s several spinal fusions performed at the Bryn Mawr hospital. I was born at the Bryn Mawr hospital. It’s all about me! My sister was a candy-striper there and helped with Wavy’s care. One of Wavy’s two all-body casts after fusion operations. This was the all-starcast. From the Rolling Stone article. 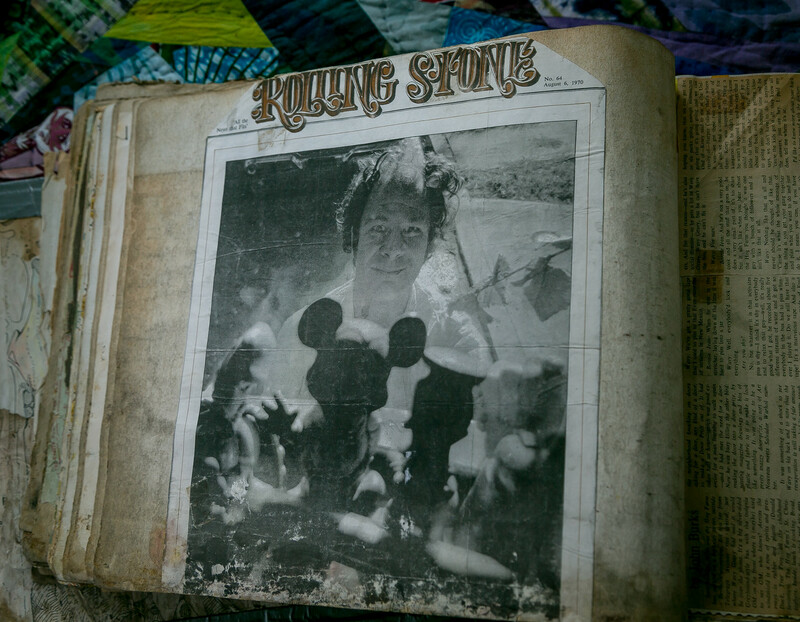 Again, Rolling Stone. Shot from the interior of the Asp out towards Wavy, shot through figures on the dashboard. 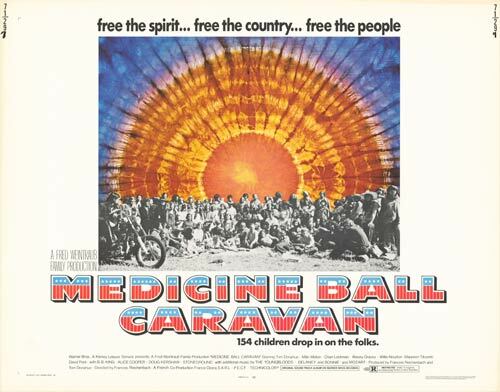 The Medicine Ball Caravan. The premise of the movie was that a 15-man French film crew would record the series of free concerts staged during the month-long trek. Artists would fly in and perform. 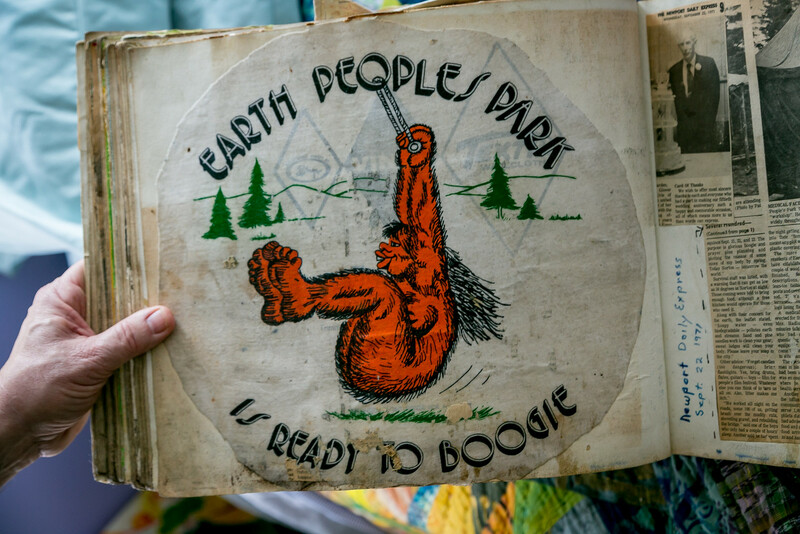 It was meant to be a sequel to Woodstock. Wavy and Jah in Amsterdam. 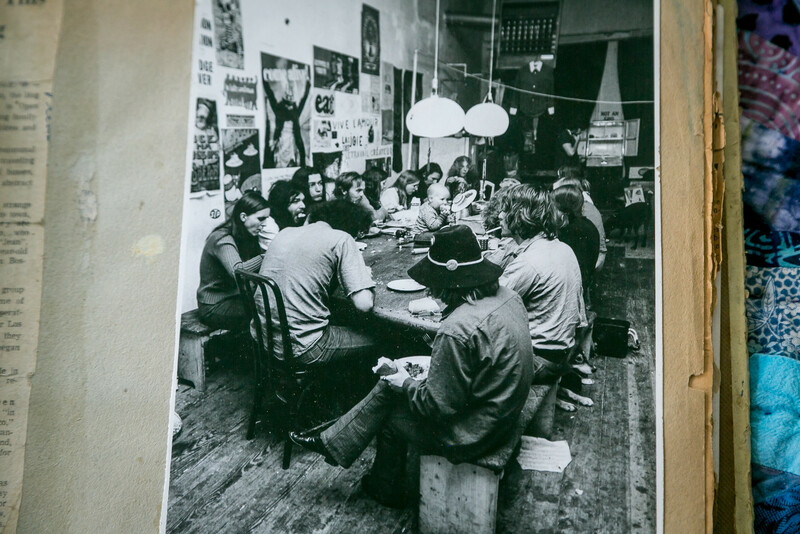 Janis Joplin died while the Hog Farm was in Amsterdam; they held a wake for her. The Hog Farm helped buy about 500 acres in Norton, Vermont, purchased and managed as a non-profit trust (Earth Peoples Park Inc.), with the land deed officially recorded so as to convey the trusts’ ‘ownership’ of the land (the only real asset of the trust), to ‘all of the peoples of the earth’. Norton, Vermont is the last left turn in America. 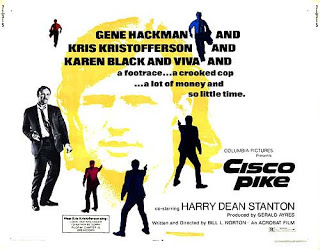 Wavy worked in “Cisco Pike,” a 1972 movie originally titled “Dealer.” It stars Kris Kristofferson as a musician fallen on hard luck who turns to dealing marijuana as a means of income. The film company flew Wavy to Paris for Thanksgiving (he had wanted to go to Turkey). From there they drove to the Himalayas in the Sterling Hog bought in London and a second bus bought in Germany. Time out from the scrapbook. 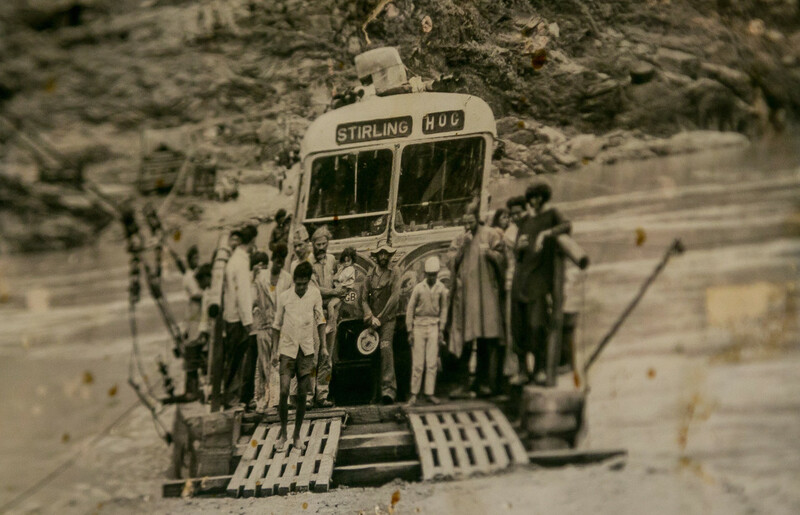 The bus ride from Europe to India – beyond belief. 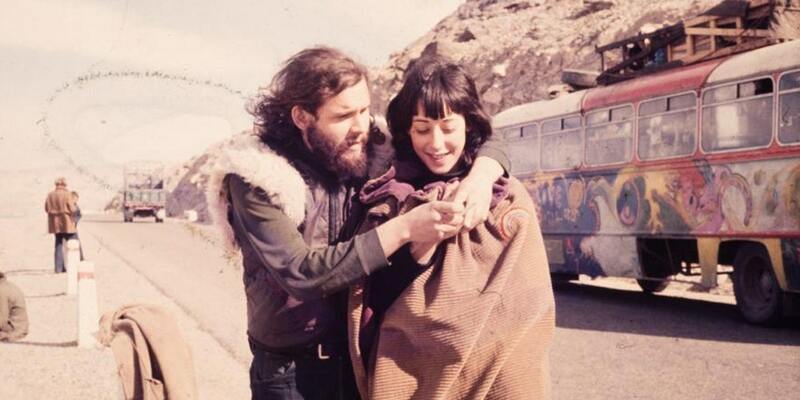 Larry Brilliant and wife Girija (formerly Elaine) at the Kyber Pass. Crossing a river in India. They bought the bus in London. There was a destination sign Stirling Ho. How hard was it to add a G? 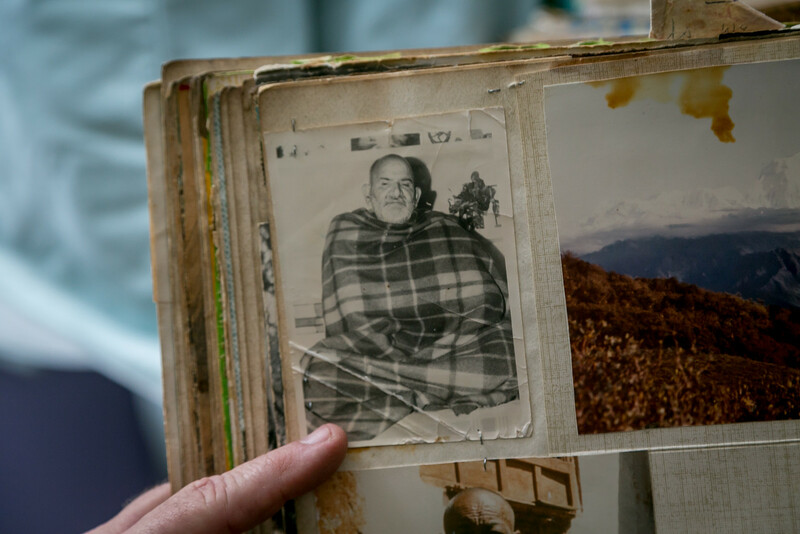 We will see more photos from the Himalayan bus trip when we visit Wavy’s house. Jah / Mrs. Gravy beloved in Turkey. 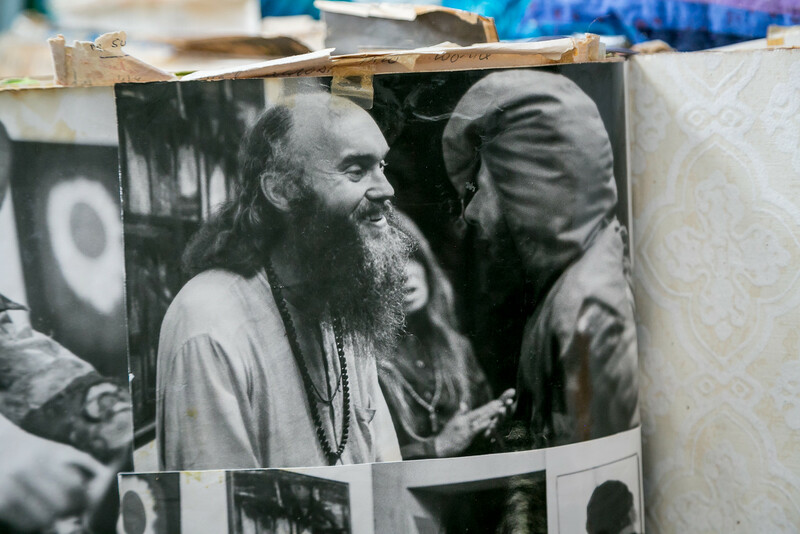 Meeting up with Ram Dass in New Delhi. 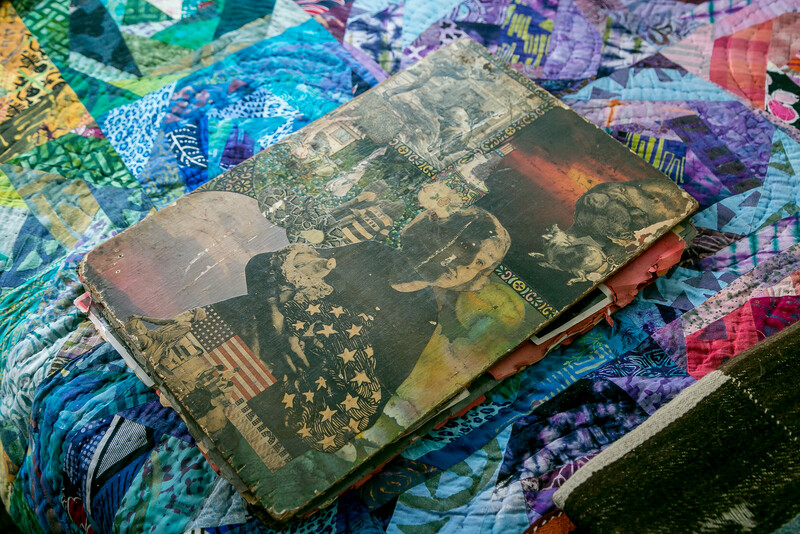 Ram Dass is a spiritual teacher and the author of Be Here Now. 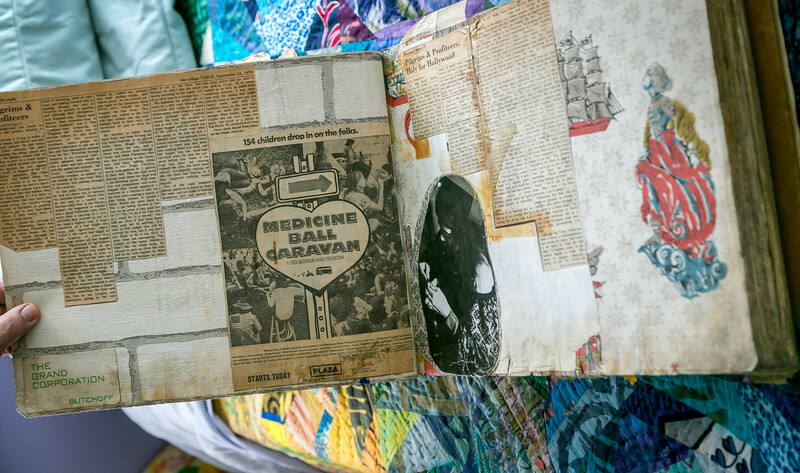 He had personal and professional associations with Timothy Leary at Harvard University in the early 1960s before moving to India. He helped found the charitable organizations Seva Foundation and Hanuman Foundation. He continues to teach via his website. Neem Karoli Baba, a Hindu Sage. 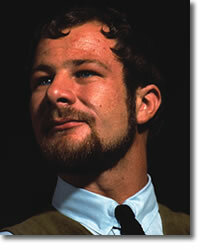 Larry Brilliant was guided by Baba. Wavy only felt he’d met him. 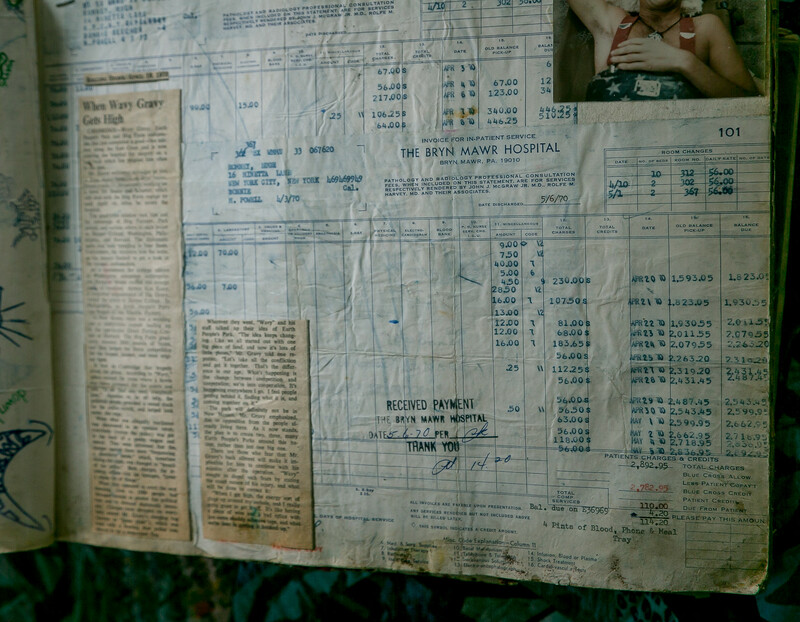 Wavy at Roosevelt Hospital in New York, flown back from India with the hospital’s record for diseases in a single person – pneumonia, TB, parasites, etc. This was from a fundraiser to buy the land in Vermont. 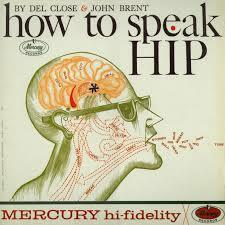 David Crosby, Cass Elliot, Mylan Melvin (a producer for Mercury Records), and David Bromberg were all involved. 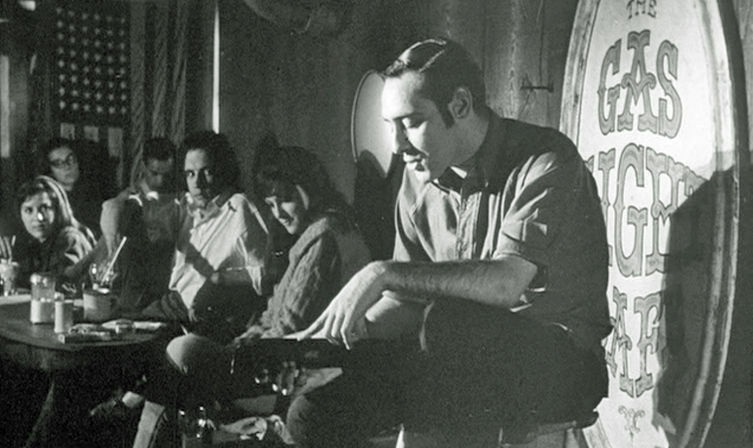 The Holy Modal Rounders also performed. 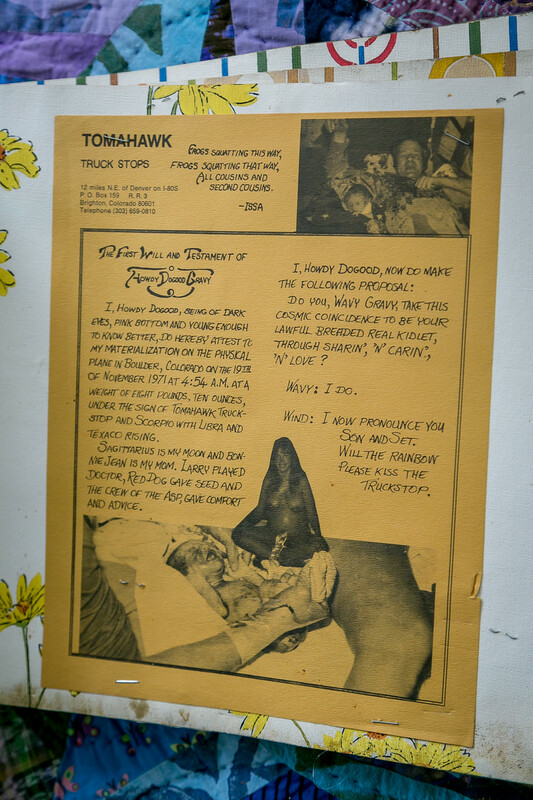 The birth announcement for the son of Wavy and Jah, born at a Tomahawk truck stop. Me: Where was this? Wavy: I have no idea. 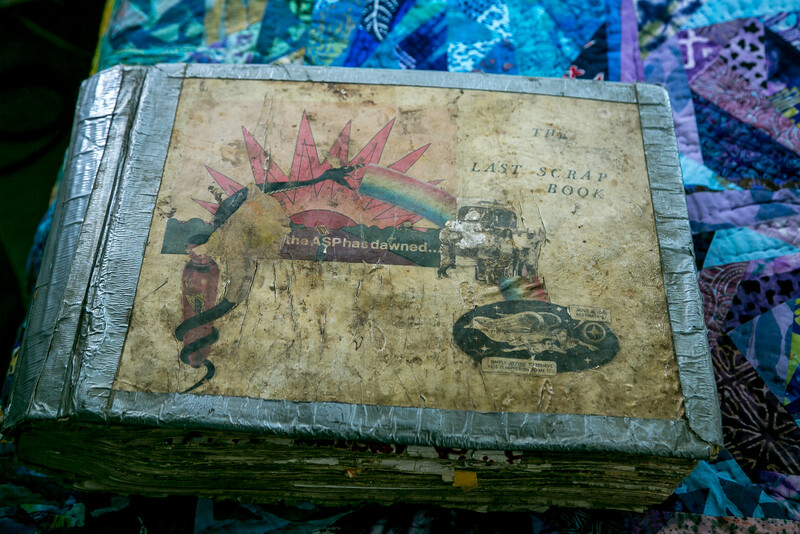 What a long strange trip, no? As the seven years on the buses neared an end, there was one enduring fact that transcended all – a honest-to-God true, genuine, once-in-a-lifetime, real-deal forever love between Wavy and Jah / Bonnie / Mrs. Gravy. That’s a lot of Wavy. 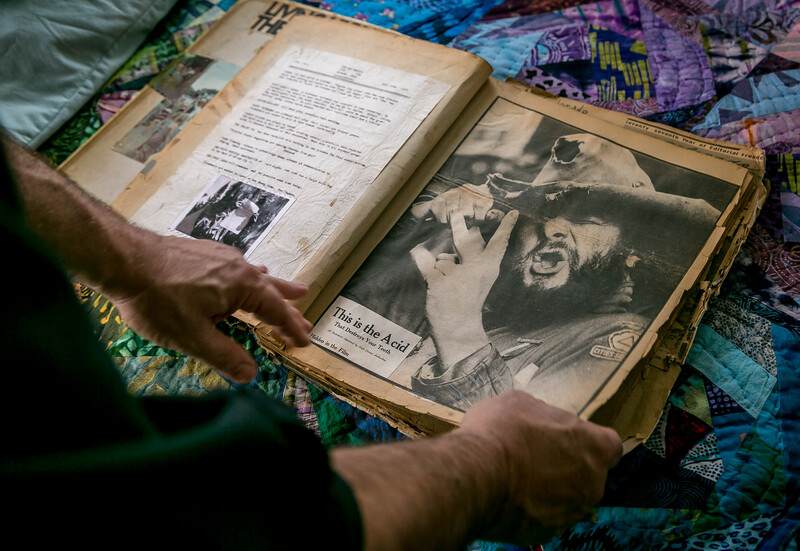 The spirit of Wavy and Jah and the Hog Farmers is an utter inspiration. Seven years on the buses is practically beyond comprehension. 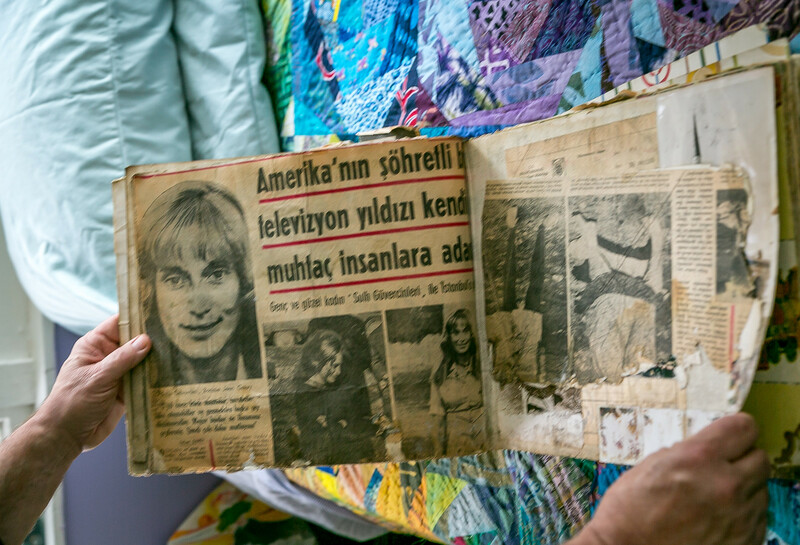 These photos barely scratch the surface of the story. Many were the men whose cities he saw and whose mind he learned. Look at the love in the eyes of Wavy and Jah. Look at the mountains and rivers they climbed and crossed. Think about what those years were, how they shaped and informed. 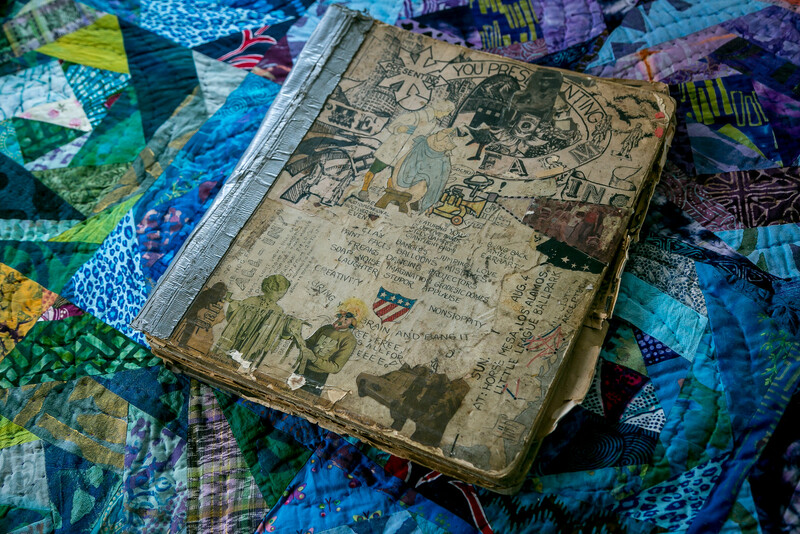 It was with this accumulated experience that Wavy and the Hog Farm would arrive, with confidence and brio and energy, ideals and dreams and hope. Where else could they have gone? ANSWER: This was the right place. BIG LOVE COMES TO BERKELEY THE HARD WAY. 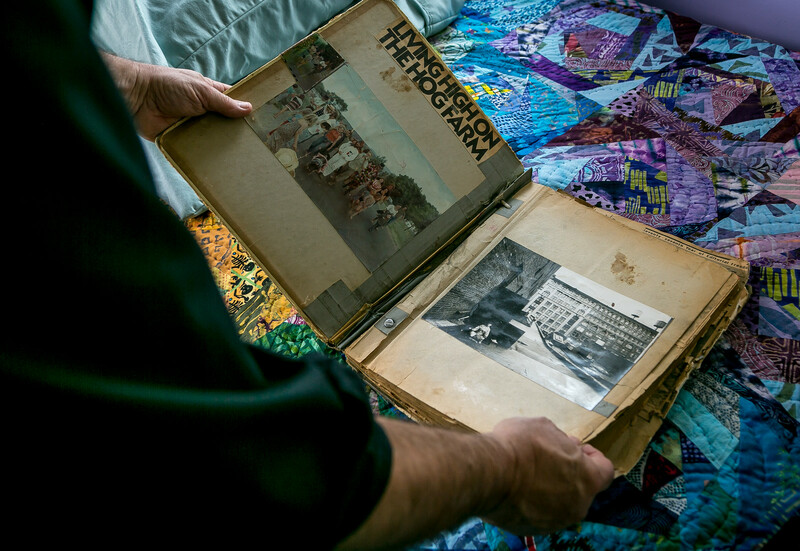 Next up will be highlights of the 40+ years in Berkeley. I showed the post to my friend. 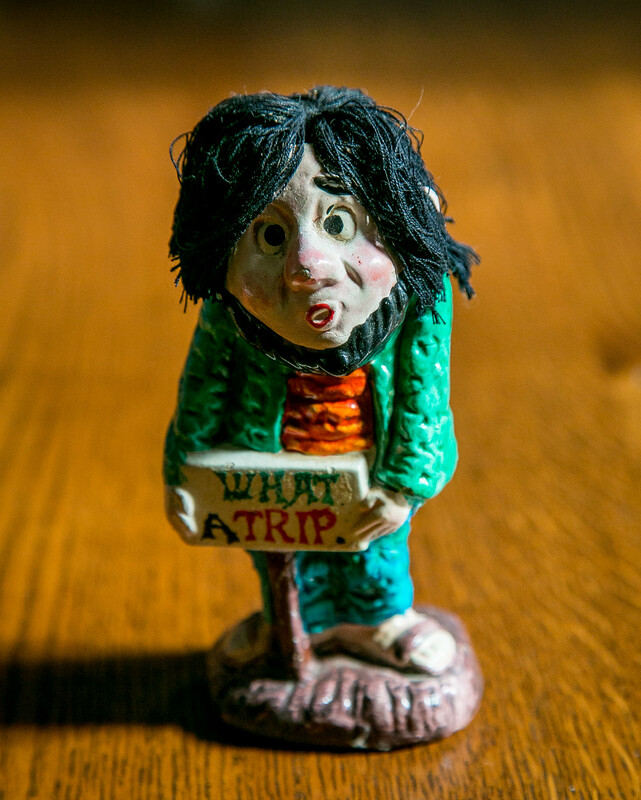 He is just back from Detroit after a few weeks there with his twin brother Earl. He can’t stop talking about the Faygo root beer, the beverage of his childhood, still as good as he remembered it. That is a good story. But what about the post, part 1 of 3 about Wavy? 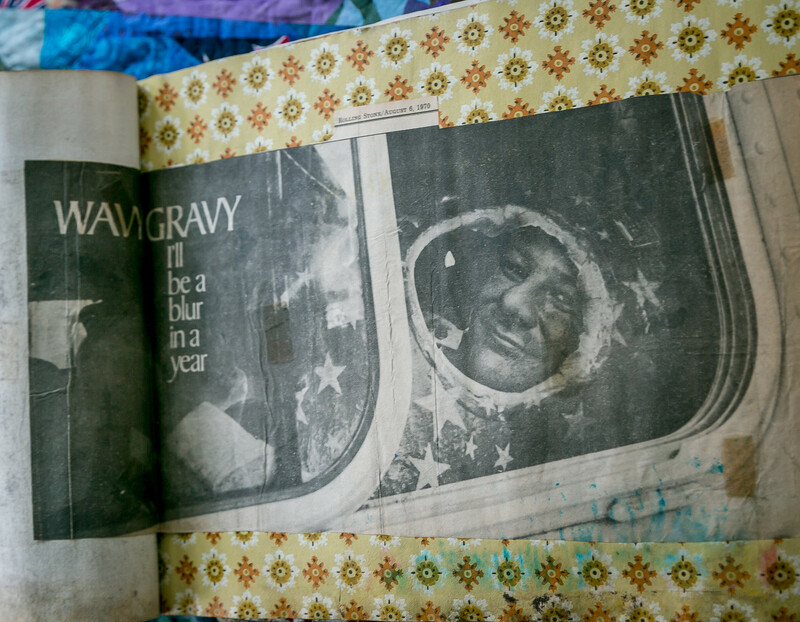 Great info on the incredible journey of Wavy Gravy-keep on keepin’ on! bravo! bravo! per timothy. i have created a new religion, hip hope, black, native and gal social justice sci-fi writers (prophets) backed by an adventuresum improv jazz trio/big band) bravo! bravo!